For over 35 years Jilco Window Corp. has been serving builders, remodelers, architects and homeowners in the tri-state area with an extensive product line and over 30,000 sq. feet of inventory. All of our product and services are selected with the needs and tastes of the local community in mind. We are here to help you today, and we will be here in the future, when you may need us again. Suffolk County's Top Window and Door Installer. 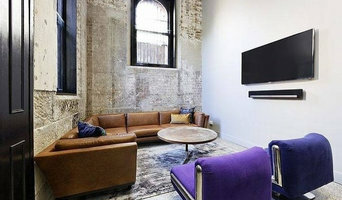 Best of Houzz 2019! Our attention to details, hands-on approach, timely deliveries and speedy service are just a few of the reasons why professionals have recommended their clients to us over the years. Best of Houzz x2! TWG Fabrics & Home Decorating Center features a showroom full of Hunter Douglas blinds, window shades, and wood shutters on display. Known for designing creative, one-of-a-kind designs, specializing in custom window treatments & interior design solutions to even the most challenging design dilemmas! Breslow Home Design is a 3rd generation family business founded in 1924. 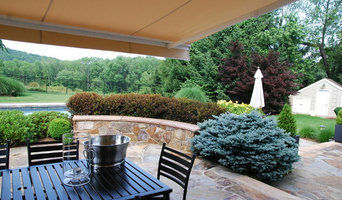 Experts in paint, retractable awnings and window treatments! Armadillo rollers are a breakthrough in technology for privacy, protection and expansion. We've taken a product concept and adapted it in many ways to create an entire product line! We are a local, family owned company that specializes in many different types of merchandise for the home including draperies, upholstery, blinds, curtains, shades, bedspreads, and more. Window Palace Inc. has been open since 1987, with over 35 years of experience in selling windows and doors. We now have added skylights, millwork and hardware to our exceptional offerings. Our Bi-Fold Doors are constructed from the highest quality materials with expert craftsmanship. The door frames are made of eco-friendly, recyclable aluminum, which is a more sustainable option. Within our two locations, Wm. B. Morse & Sons and Morse Sash & Door, you will find a full range of products and services for all of your new construction, remodeling & renovation projects. 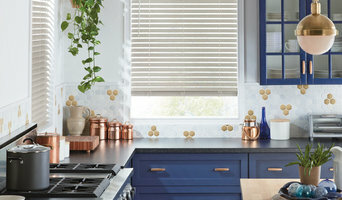 Rebates on Select Hunter Douglas Items! At Timm's Window Fashions you will find great people who have the knowledge, expertise, and experience to help put it all together. From Design to installation we are there every step of the way. Fenstermann is a trusted source for windows, doors, shades and more! Made in Germany, we offer cutting edge products to both homeowners and professionals looking for great design and performance. Whatever your design or budgetary considerations Classic Touch has the optimal answer- window fashions that are the last word in aesthetics and performance.